A lot of home owners prefer kitchen designs in dark or neutral color palettes. 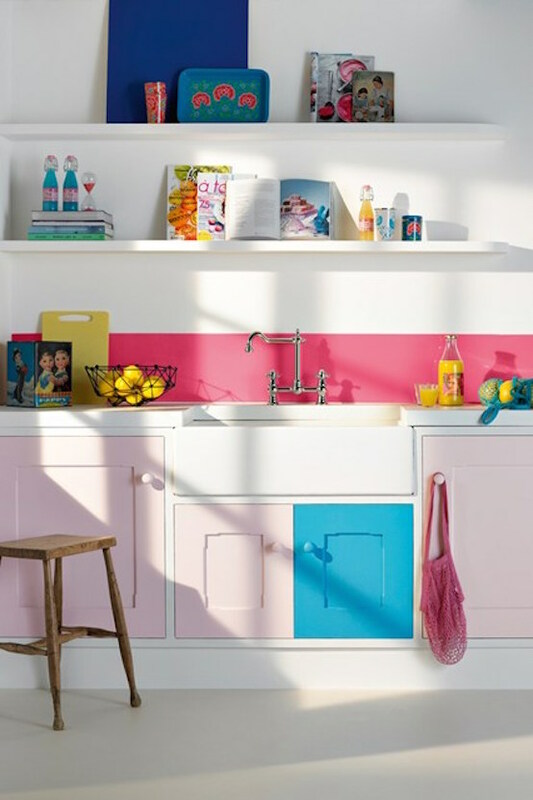 Although some people think that a colorful kitchen would be less boring. Some of these people simply choose kitchen cabinets in a vibrant color while some others mix and match kitchen elements in different colors. In my opinion both of these ways work very well. Each of them make kitchen more stylish and add some drama to this place. It’s always a good idea to do so to make the cooking and probably dining experience better. Besides, most likely you spend some time on your kitchen each day so why not to make it more bright and happy place?